The data is available here and here. The general links for statistical reports for Florida are available here. 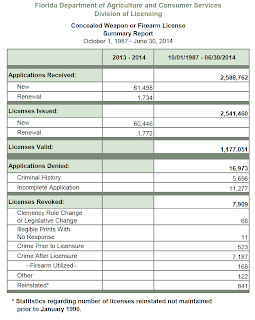 With 2,541,460 permits issued and 168 revoked for revocations for firearm violations, the rate of Florida concealed handgun permits that have been revoked for firearm violations is only 0.0066 percent. 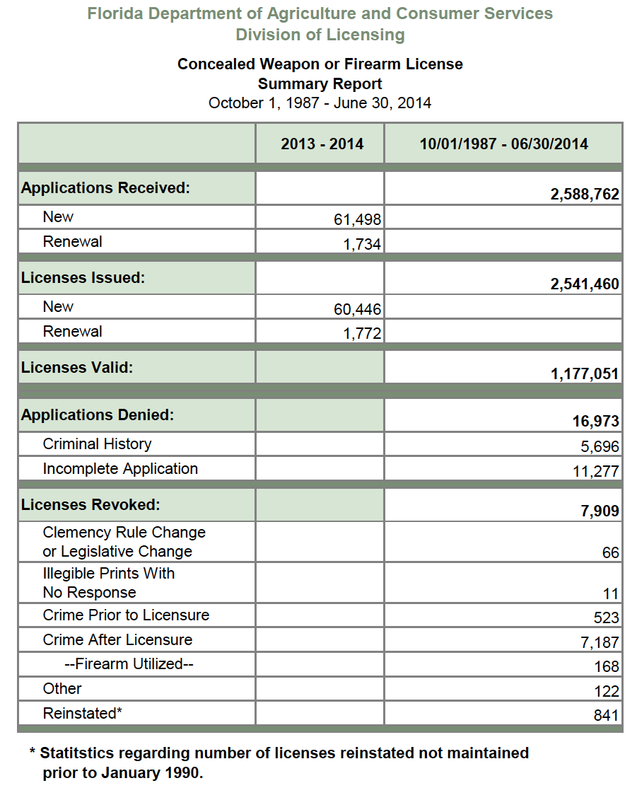 Since January 2008, there have only been 4 revocations for any type of firearms related violation -- an annual rate of about 0.696 revocations. With an average of about 850,000 permit holders over that period, that is an annual revocation rate of 0.00008 percent, or less than one ten thousandth of one percent.